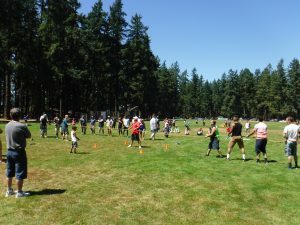 The Long Painting Company Friends & Family 50th Anniversary Picnic was a huge success with over 300 people in attendance! 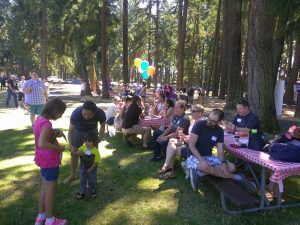 Employees, friends and family from the Kent office joined at Spanaway Lake Park on July 29th to enjoy an old-fashioned picnic. 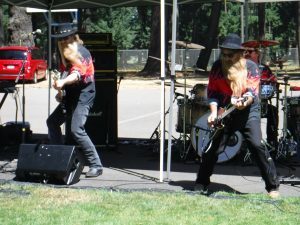 The day began with guest’s playing rounds of mini golf, children and even adults squirting each other with water toys and some choosing to just lay on the grass and listen to music from the band El Loco. There were several amazing vehicles entered into the “Ty Long Memorial Car Show”. Ivan Parra won Best Restoration and Best Daily Driver with a 1969 decked out VW Bug. Jimmy Polly won Most Awesome Paint Job and received the Ty Long Award for People’s Choice with an impressive 1966 AC Cobra. 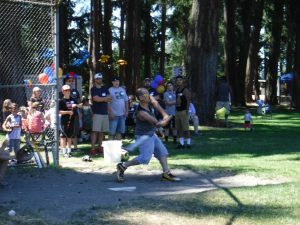 Teams were pulled together to compete in a softball game. There were times when the crowd roared for a few amazing home run hits and even a few unbelievable outfield catches. 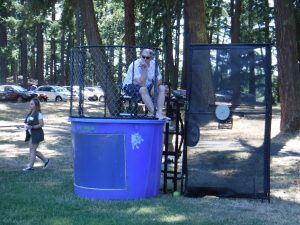 The highlight of the day seemed to be when attendees had the opportunity to wet a few of the owners by sending them into the dunk tank. Make sure to check out the amazing video and photos on our Facebook page! Congratulations to the grand prize raffle winner, LaDonna Berg, who walked away with a PlayStation 4. 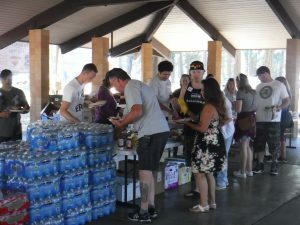 Once the picnic was over, Long Painting Company generously donated all leftover food to the Bonney Lake Food Bank, which will help feed children in the area for the entire week. In addition, a huge thank you to all the volunteers… we could not have pulled it off without you!